This class takes place over 4 sessions. Pattern is Easy 7, 8, 9 by Me and My Sister Designs (quilt #9). For Quilting 101, we will provide Baby Lock sewing machines for students to use in the classroom. This helps ensure that everyone's machine is working properly and that staff are able to help students operate their machines. 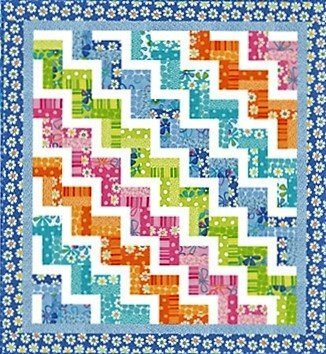 This leaves more class time available for learning to quilt! There will be some sewing homework involved, so you may use your machine at home for that, or see if there is a day you can come into the store and use a classroom machine if needed.